We do not collect, store, or use personally identifying information except in very specific instances. For example, if you send us an email that contains your email address, we will use that information to respond. We do NOT share this information with outside third parties. We hate spam as much as you do. We collect the following non-identifying information on all users through standard web server logs, User IP Address, Domain, Files Accessed, Time of Visit, Browser Type. This information helps us to analyze visits in a statistical manner for the purposes of internal server stats. We do not share any personally identifying information with outside companies. If you make a purchase through our site, you may need to provide personally identifying information to a third party partner (such as PayPal), but this information is used only to complete your transaction and is not shared by the third party with us. If you e-mail us, we may store the contents of your e-mail as well as your e-mail address in order to respond to your inquiry and to identify you should you have further communications with us. We will not place you on any mailing list unless you opt-in to such a list. Minor changes to this policy may occur over time. We will prominently display any changes on this page. A period of no less than 10 days will be given in advance of any changes to the policy, during which users can request to be deleted. This blog accepts forms of advertising, sponsorship, paid insertions or other forms of compensation. The compensation received may influence the advertising content, topics or posts made in this blog. That content, advertising space or post may not always be identified as paid or sponsored content. 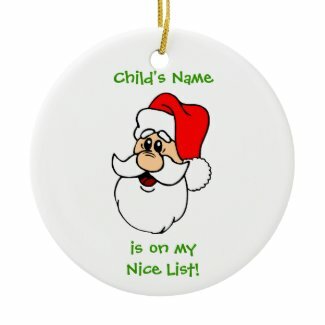 Free Santa Letters.net is a participant in the Amazon Services LLC Associates Program, an affiliate advertising program designed to provide a means for sites to earn advertising fees by advertising and linking to amazon.com. As an Amazon Associate, I earn from qualifying purchases.